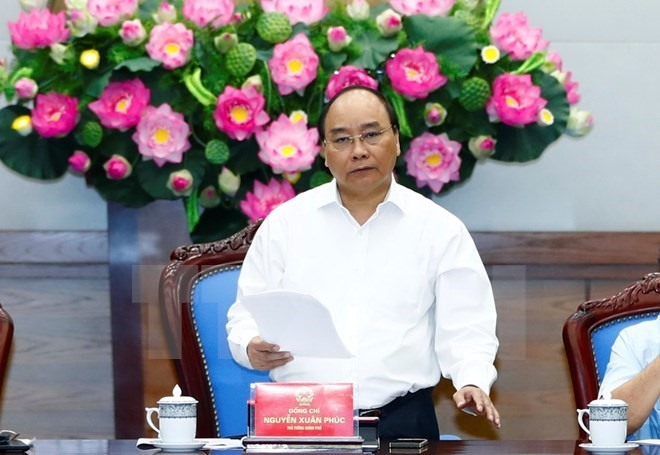 HÀ NỘI — Maintaining law and order is necessary for Việt Nam to achieve good socio-economic development, Prime Minister Nguyễn Xuân Phúc said at an online meeting with all localities nationwide yesterday. “The main factors for success in this matter are public security, the people’s armed forces and others,” Phúc said. He said a fast changing international situation and the rapid development of science and technology meant Việt Nam has faced multi-faceted challenges. “Hostile forces have ceaselessly conducted activities against the Party and the State,” he claimed. “Organised crimes with the use of weapons and explosives, drug crimes, child abuse and particularly high-tech crimes have been reported in many localities. These crimes have caused anxiety among the general public,” Phúc said. To ensure law and order, the PM urged all government officers to fulfill their responsibility to protect the peaceful life of the people. “This is the key, regular and long term task for you all,” Phúc stressed. He said ensuring law and order should be a red thread cutting through all tasks and missions. He also asked local authorities to mobilise the strength of the political system, the Việt Nam Fatherland Front, mass organisations and the public to protect national security and in the fight against all kinds of crimes while tightening collaboration between schools, families and society in educating young people. Phúc said in the spirit of Instruction 48 of the Politburo, all heads of Party organisations and administrations bear full responsibility for law and order in their own organisations and localities. Meanwhile, the Ministry of Public Security has to consolidate its strengths and work with agencies and localities to settle any problems that arise. “The Ministry of Public Security must be proactive in advising local governments and party committees,” Phúc said. Meanwhile, the Ministry of Defence has to co-operate with the Ministry of Public Security to prepare for worst-case scenarios. “Another important task for the Ministry of Defence is to co-ordinate with local authorities to strengthen the relationship between the State and the people,” Phúc stressed.